It's time to take the black my sworn brothers and sisters. This week on the EXP Podcast, we jump right back into a world dark and full of terrors: Game of Thrones. 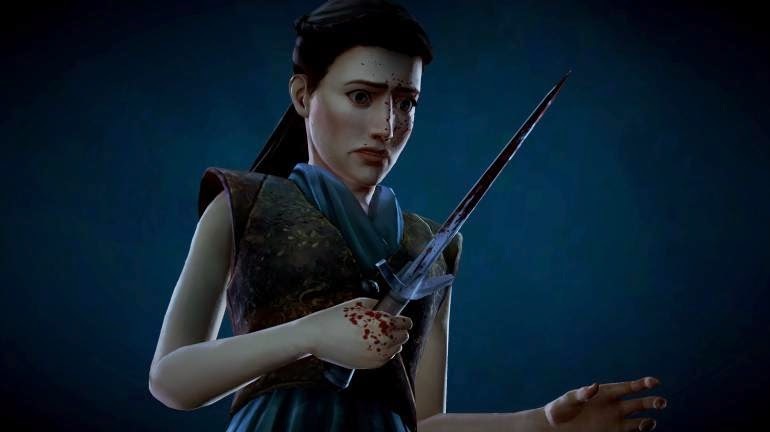 Telltale's story continues, taking us on a journey from Essos, to Westeros, and the Wall. As always, let us know what you think of episode 2, The Lost Lords, in the comments below. For me, the key dilemma was how much to metagame. Those who have watched the show know how the power balance in King's Landing will shift. So I tried to justify my decisions based on what Mira herself has seen. Margaery is cunning, subtle and a rising power, so the relationship with her needs to be carefully cultivated. She can be very powerful leverage, but only when yours and her agenda are in alignment. The relationship is too valuable to be wasted. Knowing what happens at the Wedding is just a bonus. Tyrion is practical and willing to let you prove your usefulness, but cannot be swayed by mere gestures. If he wants to parade you as an alternative to the Whitehills to gain leverage in negotiations, then let him. Because that's what the Forresters can be for the Crown; The better choice. Fake it till you make it. Refusing his proposal based on what happens after the wedding would be seen as irrational now. As for the coal boy.. lots of suspicious activity, very little explanation and asks for one-sided trust. And Margaery will have to cut you loose if Cersei has any more excuses to doubt your loyalty. So no, we cannot be anywhere near a dead Lannister Guard. Even if his master is playing the longest game in King's Landing. "Fake it till you make it." Seriously sound advice in King's Landing. Also, are you saying you were in the very small minority that let the guard murder the coal boy!? I let that dirty little orphan drown. You're a monster and I love it. Yes. And I might have to let Sera down as well. She wants to be on Margaery's "chessboard", but she might not like the moves we need to make. Marry her, sure, but she is at best a pawn and probably won't get an opportunity to be used against high-volume pieces.